The continual growth of requirements for storage solutions in performance, availability and capacity is accompanied by high cost pressure. Statistics show that while server spending has stayed about the same in the past 10 years, the cost of management and administrati on has increased by several factors over the same period. IT departments now spend three-quarters of their time and resources maintaining their environment, leaving little time for value-added activities. installation and integration of optical into a scalable archiving soluti on. 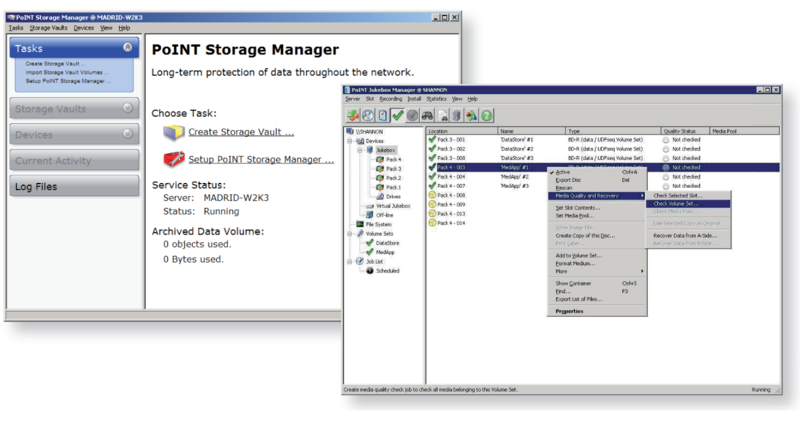 PoINT Jukebox Manager offers as an intelligent middleware standardized file system access, to the attached optical library. The optical media in the library can be used transparently by applications and users by means of a standardised CIFS share. unchanged in primary storage while the file contents is written to the ArXtor Blu-ray Solution. Expensive primary storage space can be “cleaned” from inactive data and used more efficient without any restrictions for the customer. 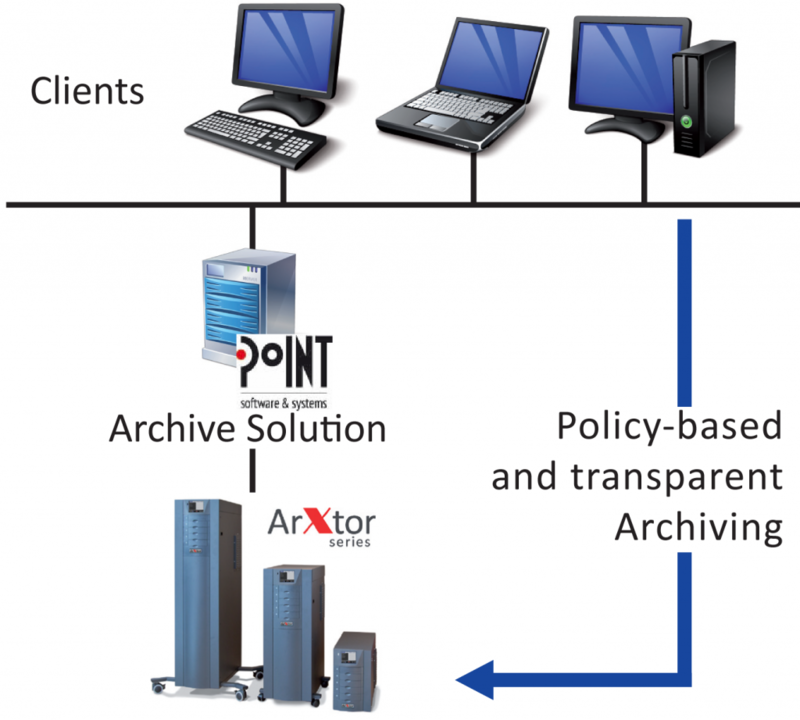 Other key features are: Policy-Based File Archiving, Data Authentication, Encryption, Data Replication and Off-Line Media Management.